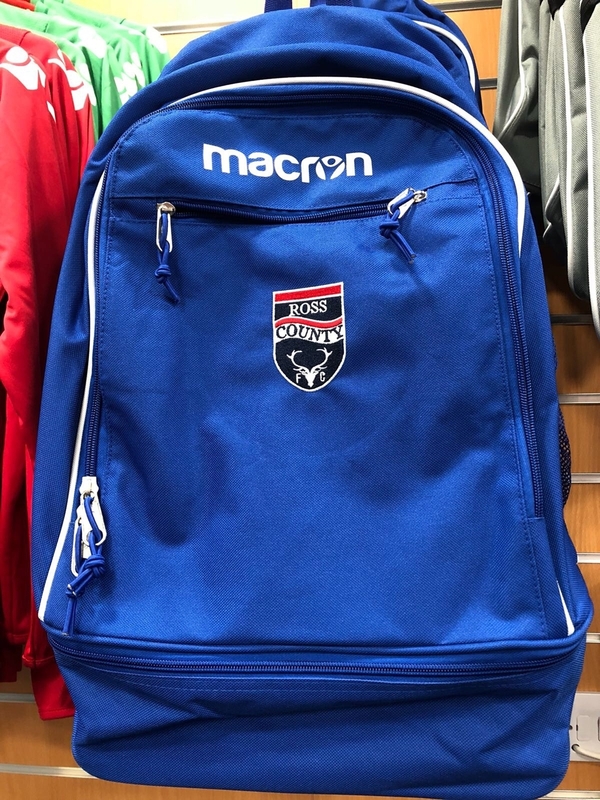 Brand NEW Macron Royal Blue Backpack with RCFC Crest. Backpack with a semi-rigid polyshell with front zip and side mesh pockets 33 X 45 X 25cm. Bottom polyshell height 10cm.